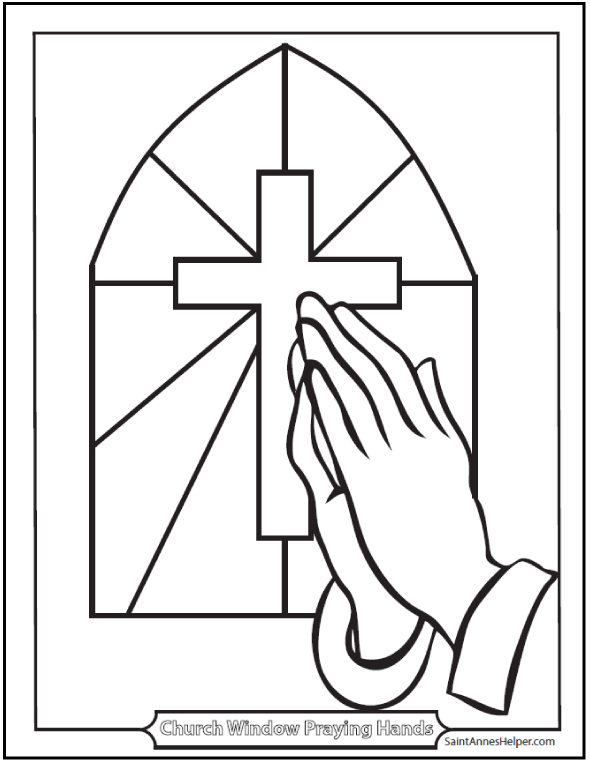 This praying hands picture shows a stained glass church window with a cross. It's nice for religion class and Bible study. This is a simple coloring page for preschool and kindergarten. This PDF prints 8.5x11" single sided. What a pretty picture of the praying hands and a church window.